Alex Wong/Getty ImagesPresident Obama speaks at the White House following a shooting in Orlando that left 50 dead. President Barack Obama called the deadliest mass shooting in US history an “act of terror” and an “act of hate” after a gunman left 50 people dead in an Orlando nightclub early Sunday morning. In the worst terror attack on US soil since 9/11, a gunman who pledged allegiance to ISIS opened fire in an LGBT nightclub, killing 50 and leaving dozens more injured. Obama said on Sunday that the FBI was investigating the shooting as an act of terrorism. 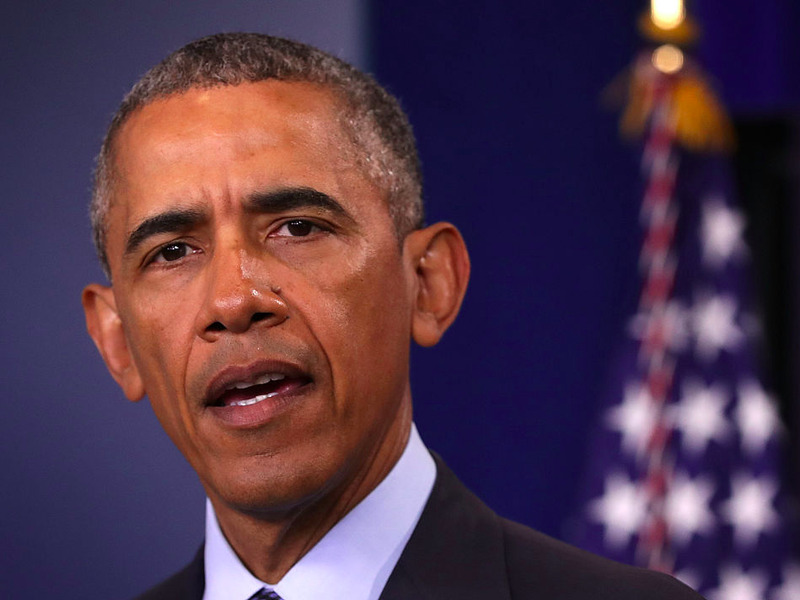 “We know enough to say that this was an act of terror and an act of hate,” Obama said on Sunday. The president expressed his grief for the LGBT community, which he said was specifically targeted by the shooter. “This is an especially heartbreaking day for all of our friends, our fellow Americans, who are lesbian, gay, bisexual, or transgender,” Obama said. The president also noted that Sunday’s attack was the most deadly shooting in American history and reiterated his call for greater measures to curb gun violence. “This massacre is therefore a further reminder of how easy it is for someone to get their hands on a weapon that lets them shoot people in a school, or a house of worship, or a movie theatre, or a nightclub. And we have to decide if that’s the kind of country that we want to be,” Obama said. Since Congress failed to pass more comprehensive gun-control laws in 2013, Obama has addressed the nation over a dozen times the wake of over a dozen mass shootings. After ISIS-linked shooters killed 14 people in San Bernardino, California, last year, the president urged Americans not to project the actions of extremists onto Islam as a whole. “Here’s what else we cannot do. We cannot turn against one another by letting this fight be defined as a war between America and Islam,” Obama said. Obama has also repeatedly called for stronger gun-safety measures following horrific mass shootings.